Product prices and availability are accurate as of 2019-04-14 21:29:45 EDT and are subject to change. Any price and availability information displayed on http://www.amazon.com/ at the time of purchase will apply to the purchase of this product. 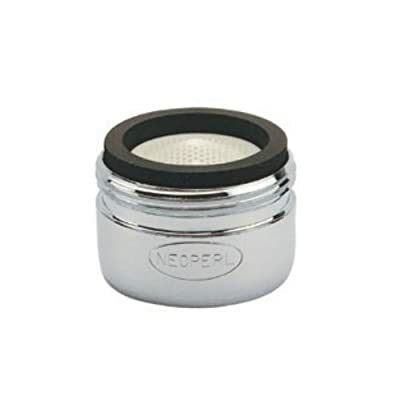 Neoperl Male Aerator. 13/16" X 27 thread 1/2 Gallon per minute Male Aerator. 13/16"-27M THREAD.5GPM AERATOR. BAGGED PER EACH NEOPERL LEAD FREE.